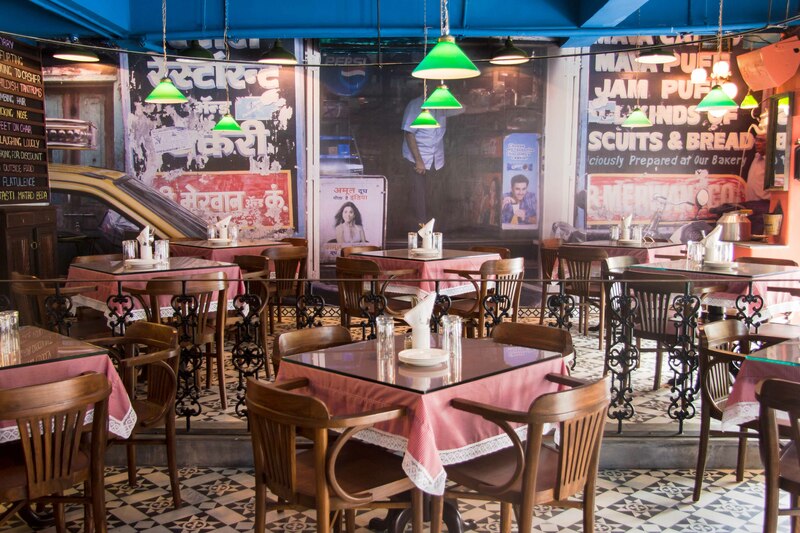 SodaBottleOpenerWala Bangalore is a casual all-day café serving Parsi and Bombay inspired Indian Food. We’ve a full bar setup and the signature cocktails are a must try. We’re children and vegetarian friendly. 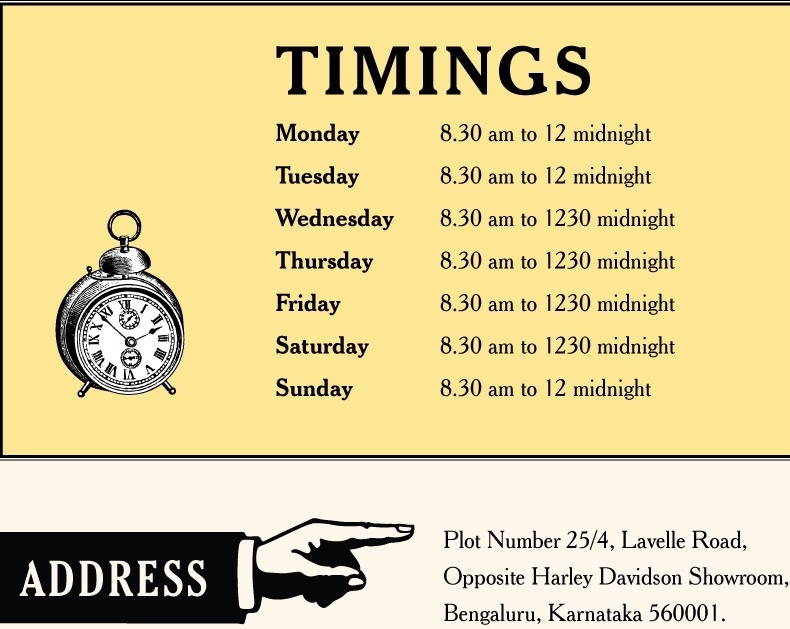 We serve breakfast everyday from 830 am to 12 noon. 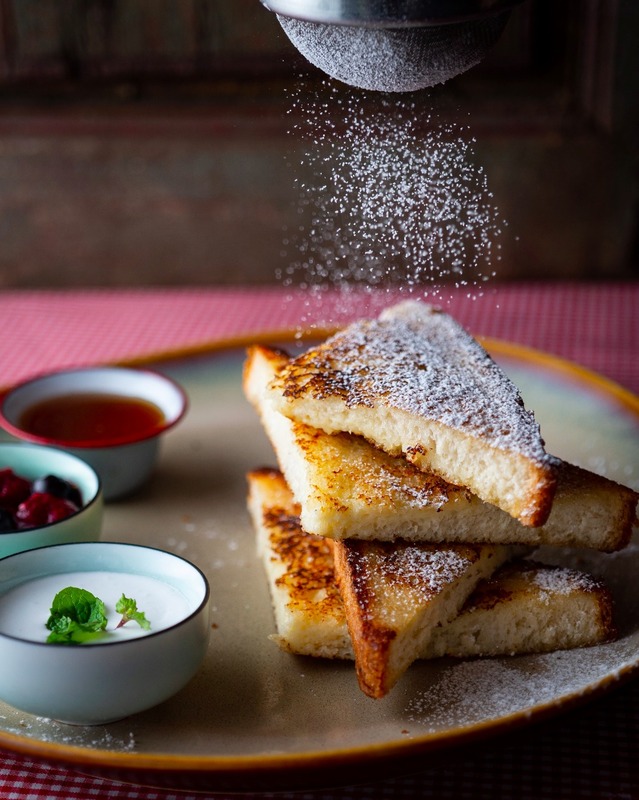 The SodaBottleOpenerWala Bangalore Breakfast is a great way to start your day early with business meetings or catching up with friends or simply just being by yourself reading a book and sipping some Chai. 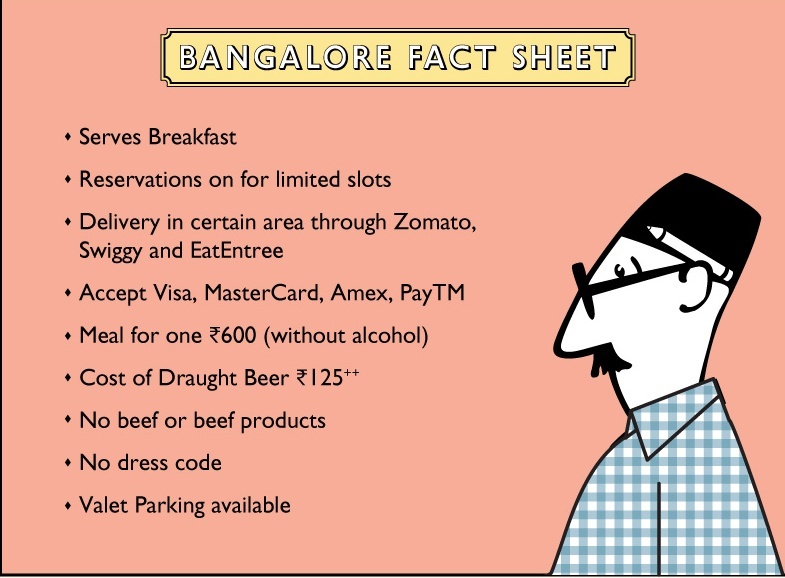 It’s great value for money and the must-tries are Pancham Pooriwale Ka Poori Bhaji, Paneer Akuri, Bun Maska, Keema and Ghotala Pav, Eggs to order, French Toast, Chai, Coffee and an excellent Cold Brew. This’s probably the best night deal you’ll find on Lavelle Road. 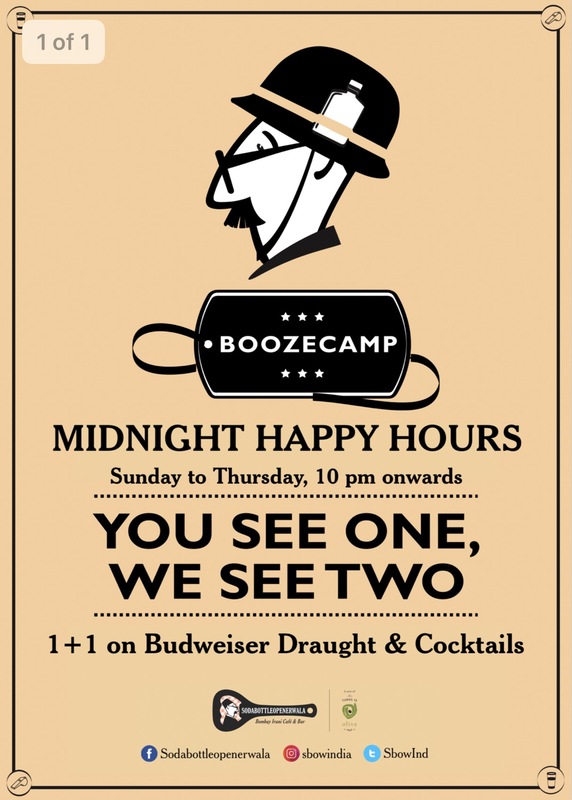 Buy One Get One Free on Budweiser Draught and Signature Cocktails 10 pm onwards from Sunday to Thursday. With some excellent Retro music on the mix. 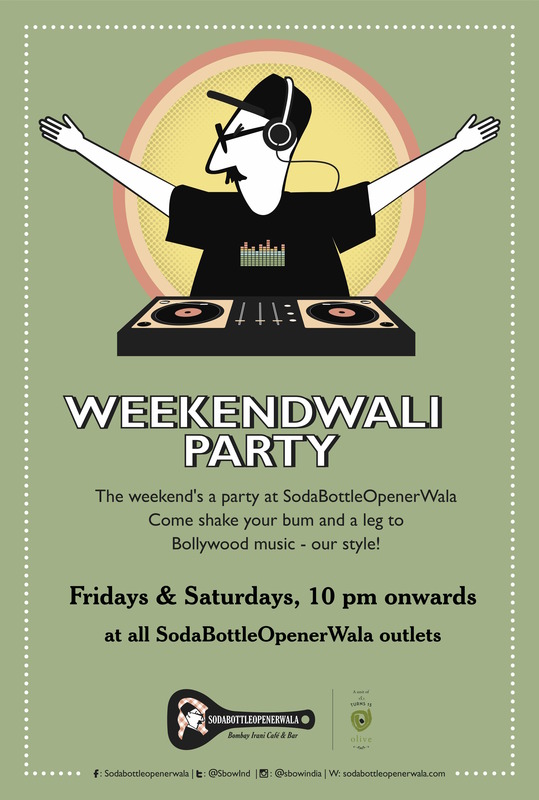 Weekendwali party is Bangalore’s best scene for Retro Bollywood. Dj Nuthan belts out some amazing numbers on Fridays and Saturdays, 10pm onwards. Sunday Chitrahaar Breakfast at SBOW Bangalore! 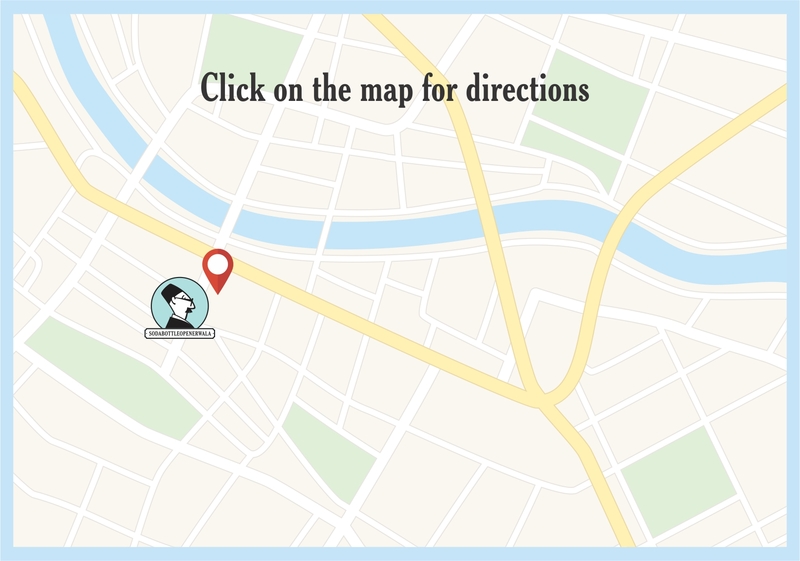 Have you visited us yet? Sunday Breakfast Chitrahaar is a ride back to the 70’s and 80s, days of the Rangoli and Chitrahaar. 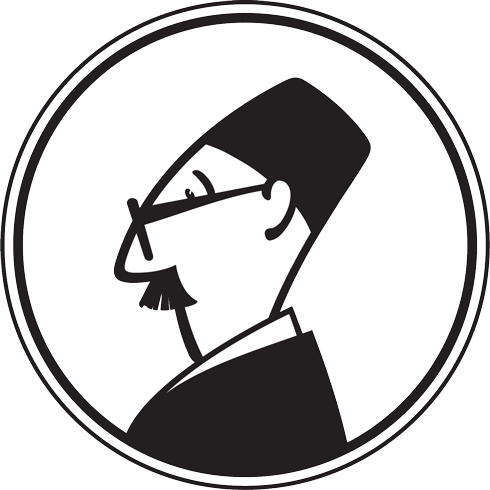 Arijeet Bhattacharya brings to you an old and new mix of Hindi classics, backed by his guitar. Every Sunday morning 9-1130am. 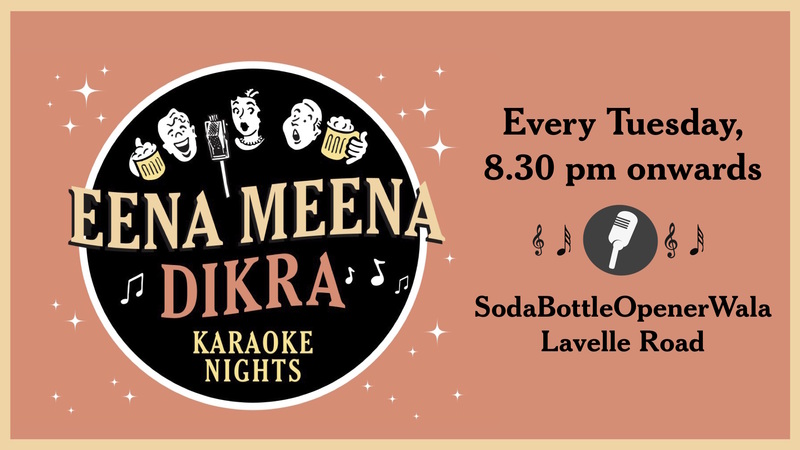 Sing to the tunes of your favourite hindi and english numbers on our karaoke nights with KJ Santosh. Every Tuesday, 8.30 pm onwards.